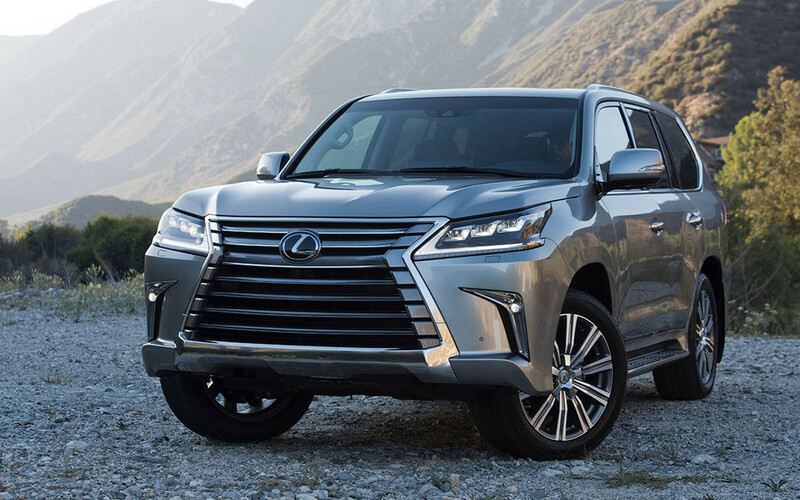 Lexus has overhauled the LX for the 2016 model year, with the fullsize sport utility now showing off the more aggressive design language found throughout the brand's lineup. The Land Cruiser-based LX 570 gets a restyled front end that wears a sharper version of Lexus' signature spindle grille, as well as LED headlights, turn signals and fog lights. The back end also gets a more chiseled look, while the LX rides on new 20-inch 10-spoke wheels, or optional 21-inch 10-spoke wheels. The LX is powered by the familiar 5.7-litre V8 that produces 383 horsepower and 403 lb.-ft of torque, but now puts power down through an eight-speed automatic transmission replaces the former six-speed. Inside, the LX boasts new wood trim selections for 2016, a new three-spoke wood-rimmed steering wheel, and available heated and cooled second row seats. The available dual screen rear passenger entertainment system now uses twin 11.6-inch screens, which are nearly five inches larger than the ones they replace, and LED ambient lighting throughout the cabin, as well as a host of new safety features.